Chopin returned to Vienna to find only a cool welcome awaiting him. Vienna wanted to dance and sing and forget war...and Poland was on the brink of war. 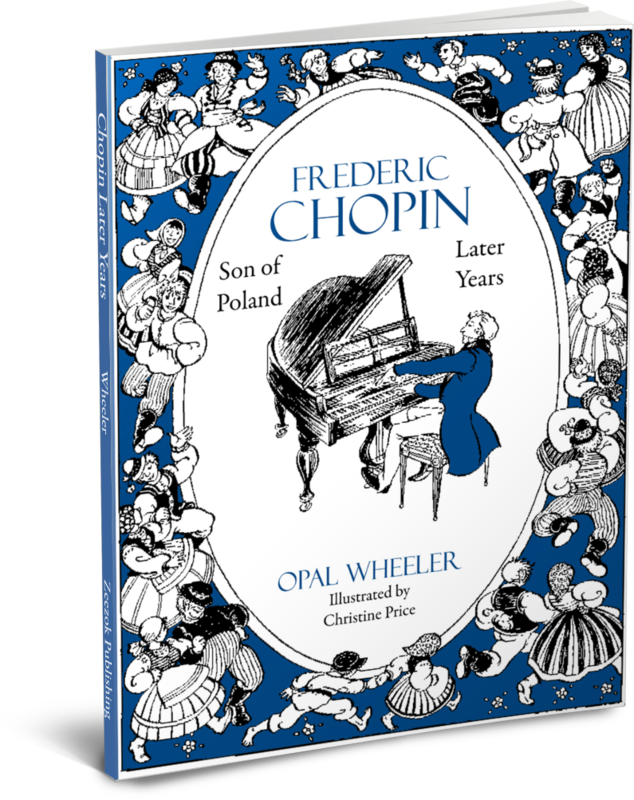 In Paris, however, Chopin found himself warmly welcomed; his concerts became the vogue; his days were crowded with both gaiety and the work he loved. 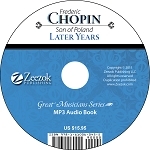 Years passed and the world hailed his greatest compositions. Then ill health began making inroads on his time and at the peak of his career, the great composer and pianist died in Paris. Download a sample of this product.